Beginning this fall semester Jessica is a Senior at Purdue University. Jessica is majoring in Agriculture Education and minoring in Horticulture. 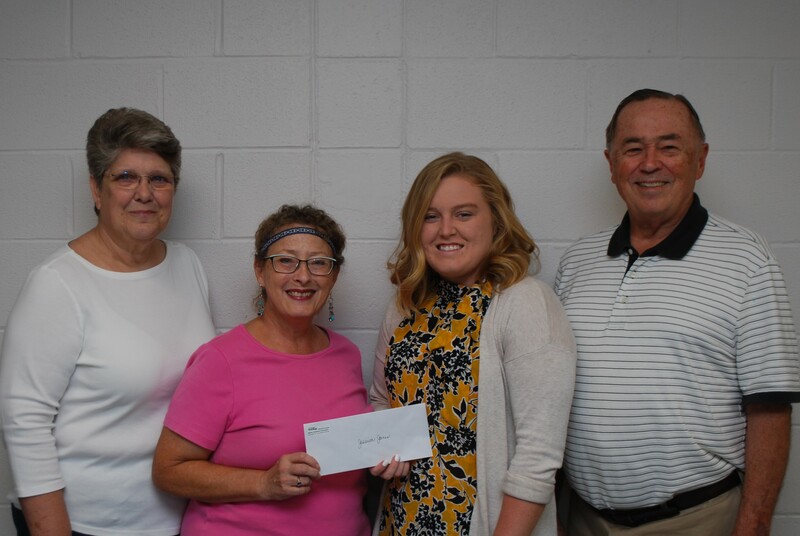 She was a 10-year member of the Hancock County 4-H.
Presenting her with the check are (L-R) Jane Pollock, Scholarship Committee; Lee Rose-Alexander, HCMG President; Jessica Jones; and, Bob Degitz, Scholarship Committee Chairman.